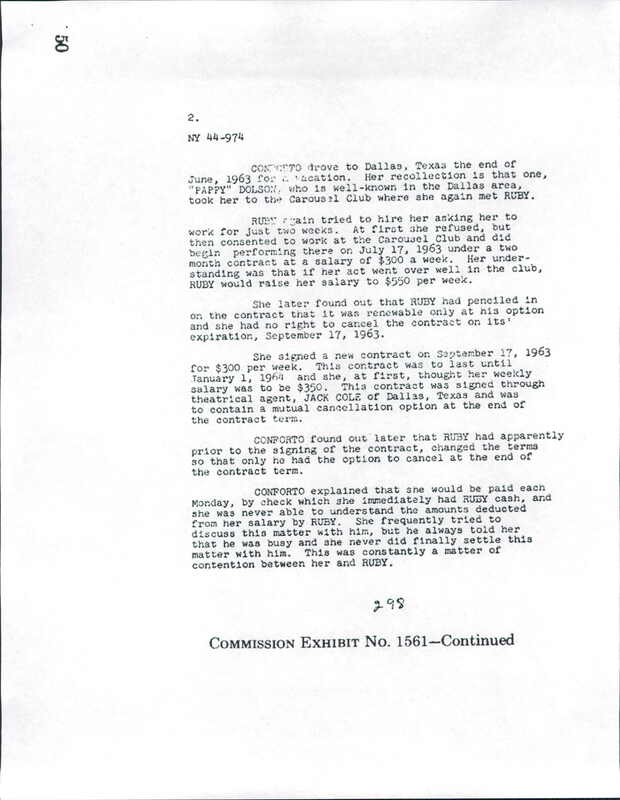 Here’s an interesting piece from our archives, in recognition of the 50th anniversary of the assassination of President Kennedy on November 22, 1963, and the ensuing assasination of Kennedy’s killer, Lee Harvey Oswald, by Jack Ruby on November 24, 1963: a copy of burlesque dancer Jada’s testimony about her employer, Jack Ruby, at one of his nightclubs in Dallas, TX. Based in New Orleans, Jada was hired to perform at Ruby’s Carousel Club in July of 1963, and was contracted to work there until January of the following year. In her testimony, she describes a contentious relationship with Ruby, who she felt had tricked her into unfavorable terms in her contract and thought was cheating her of some of her pay. She describes an apparently brutal and increasingly despondent Ruby, especially in the weeks before the assassination. …a number of things that happened in October had caused RUBY to be depressed. He had stated at that time that his friends were running out on him and no one was supporting him. She also paints him as a man obsessed with fame and his personal image. She expressed the opinion that the only reason RUBY shot LEE HARVEY OSWALD was so he could be a hero to the people of Dallas and the country. He loved publicity and she felt that he did not care if he got 10 or 15 years in jail as long as he succeeded in getting a lot of publicity. Ruby may well have had reason not to get along well with Jada, who was by all accounts a very aggressive performer who regularly went “too far”. Fearing the loss of his license if Jada’s acts were found to be obscene, Ruby reportedly turned the lights out on her while she was onstage several times (which in her statement she ascribes to her argument with him over her missing pay). 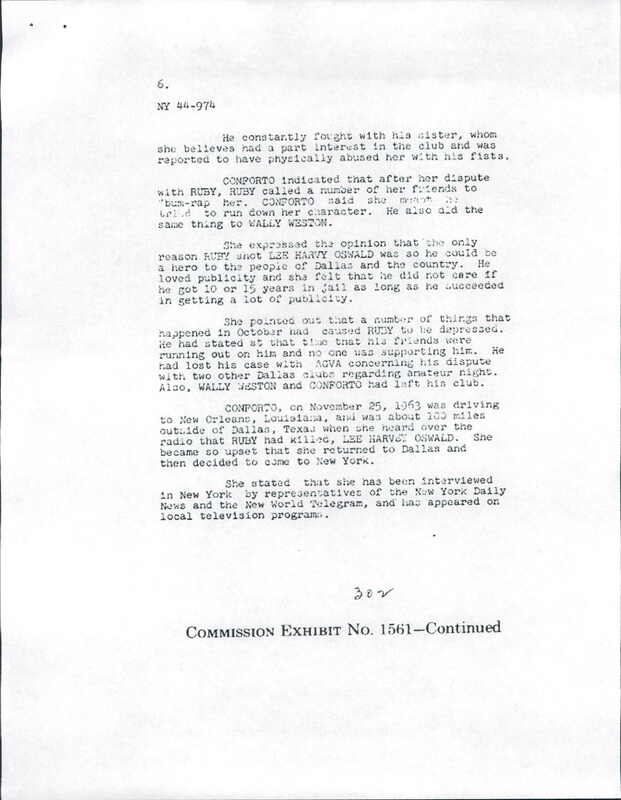 On the day of Oswald’s assassination, Jada fled Dallas and was allegedly involved in an accident. 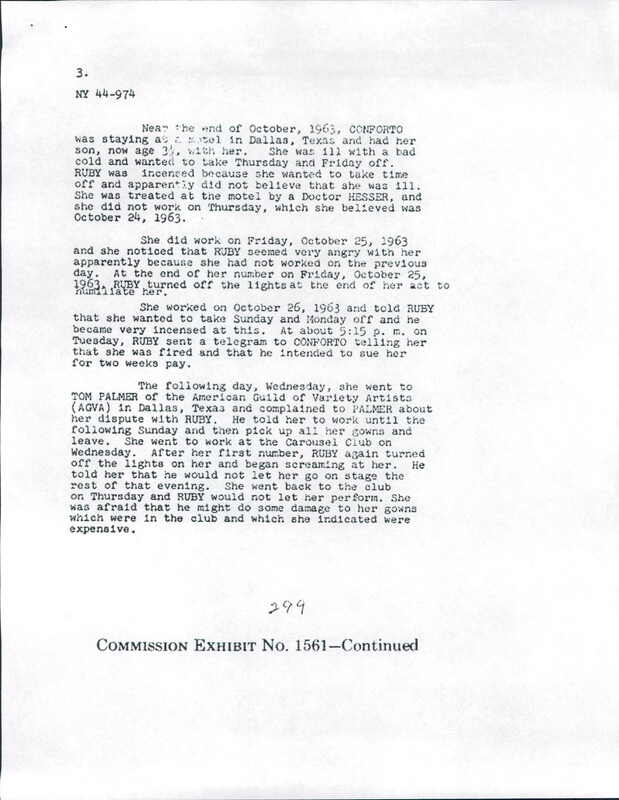 Whether she returned to Dallas because of the accident or because, as she claims in her statement, she was so despondent on hearing of Ruby’s attack over the radio, we may never know — certainly some of the conspiracy theorists who have closely followed every minute detail of the two killings have made much of Jada’s whereabouts the day of Oswald’s murder. Jada was killed in a motorcycle accident in 1980 at age 44. 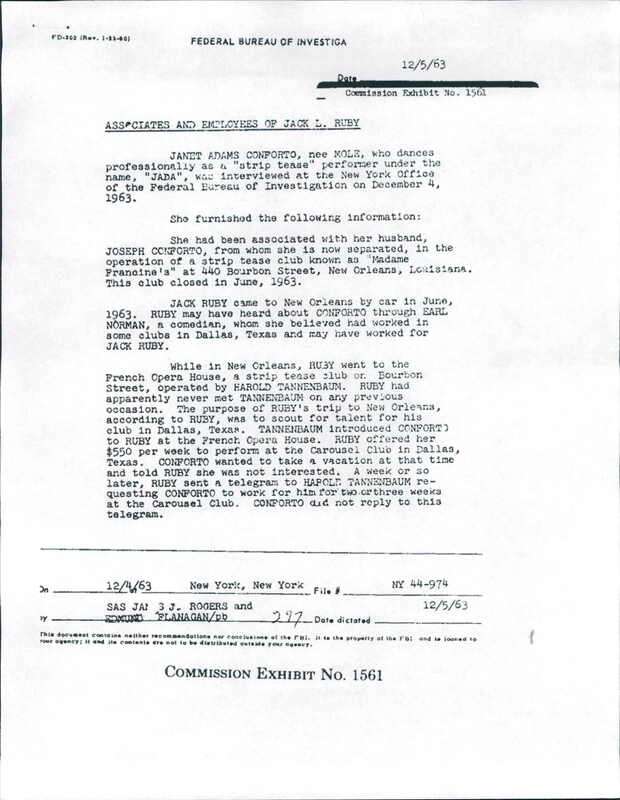 Jada wasn’t the only burlesque dancer whose testimony was called on in the Kennedy/Oswald/Ruby case. Fellow Carousel Club dancer Tammi True was much closer to Ruby, and tells her take on Ruby’s involvement in history in the documentary True Tales.